50 Books: "It's good to be home! Let's have a party!" I also recommend the Golden Books read-a-long records. The Poky Little Puppy has the best song with it. I listened to them as a kid and bought them for Moe to listen to. 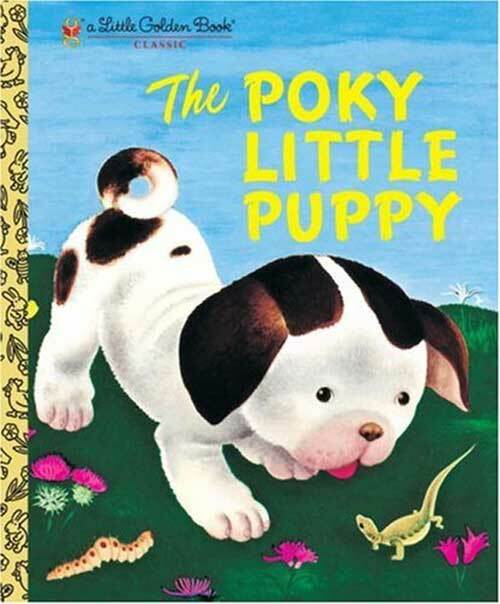 Ima find that Poky Little Puppy book/record combo RIGHT NOW. Favorite Golden Book ever. 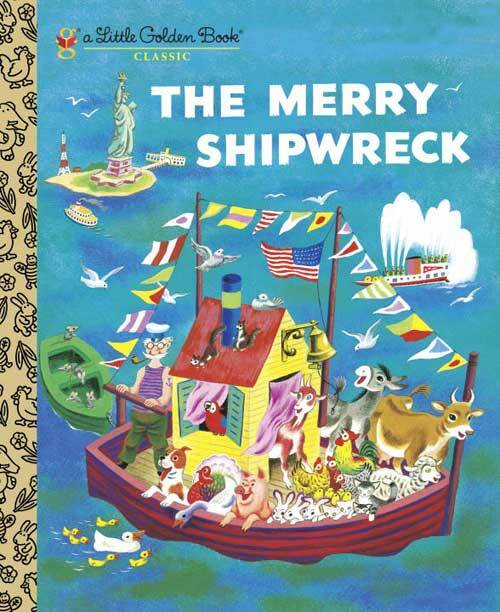 Might have to order the Shipwreck book, too. Y'all are mavens, thanks. Thanks for pointing me toward the Shipwreck book. I love the sentiment about being home and throwing a party! I had download the e-book from the website. Excellent blog. Enjoy it. Now i need to assignment writing help for my collage assignment. My name is Norman Perrin, storyteller presently on the road carrying a flat rock from Scotland to England, Switzerland, Israel, Bangladesh and Sri Lanka. Found your blog while rambling looking up anything about bookseller Hannelore Headley, who I just found out passed away last June. Miss her, having known her for 35 years and heard a lot of her jokes, mostly rude and very funny. Lived in back of her store too as starving student. Also it's Yom Kippur in Israel and I am stuck in Haifa Israel and boy is it quiet. Appreciate the difficulty of letting books go, I've got about 6,000 at present, and climbing. My excuse is that it's a working research library. Anyway, that's it, have to write my own blog. I am happy to find this post very useful for me, as it contains lot of information. online-essay-writer.org This is first time see this information I want to say that it is very good and informative. I like it and I appreciate you for your effort. its a good blog for children.. I like your blog very much.I want to buy The poky little puppy for my little one.thanks for your post. Hello Everyone!! Looking forward to celebrate friendship day 2016?? Then, come let us rock the day with our dear and near friends. Friendship day this year comes on first Sunday of August. As only few more days left for friendship day, let us start making preparations for it. We think our preparations for the celebrations should start with collecting happy friendship day messages to share with our friends on that day and also all the friendship day stuff such as buying gifts for our friends, greeting and messages and more that we can collect to make the day a special day in our life with our friends. thanks on the thoughts while talking about The Poky Little Puppy.
" you will get the update on latest android apps and games also some of the main SEO tools to along with related HD graphics and wallpapers. new year photos for family children’s and the kids are very excited at the night of this Christmas because they have got many different gifts and candies from the Santa Claus. Watch out the terrific 7 wonders of world names. If you ever visit to India then you should go to these best holiday destinations in India and taste these stomach softening Street Foods of India. Here is the list of Prime Ministers of India List from 1947 till now. Download Propose Day Images 2017 from here. I am very impressed about you blog this is much impressive and informative for me . Thank you. Teeth Night Guard is providing personalized fitting and high quality custom made dental guards. Exciting and awesome how your publish is! It Is Useful and beneficial for me That I like it very much, and I am looking toward Listening to from your next. This is the first book by Mery. It is so incredible book. It has great conclusion. Now I use to read this book. It’s really hard to wait for your next book now. Wonderful blog post, Thanks for sharing it with us.